Liquids are one of the things that I keep far away from my desk, but every once in a while I have a bottle of water there, and even that I am very conscious of it. There have been a few incidents but luckily nothing has been damaged. Until the other day I was working late into the night on emails and posts, and I had a bottle of water next to my Nexus 4 and Keyboard. I turned around and I knocked the bottle over, I could even see it in slow motion, I was saying “Nooooooo”. I tried to grab it but my mind was operating on fumes so that didn’t work. I quickly lifted the bottle removed all electronics from the vicinity. 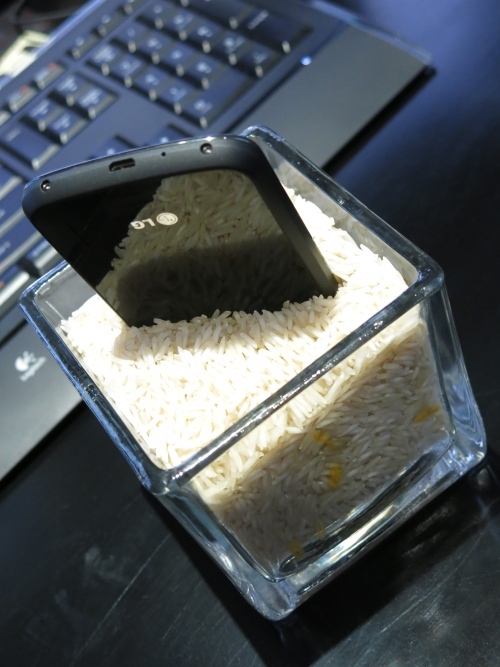 I got some water on the screen of the Nexus 4 and the keyboard, everything else was fine. 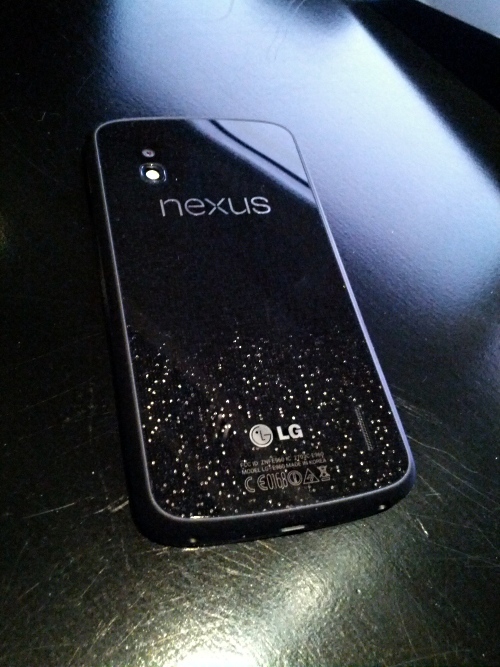 I soaked up the keyboard quickly and the Nexus 4, the keyboard didn’t have any issues. 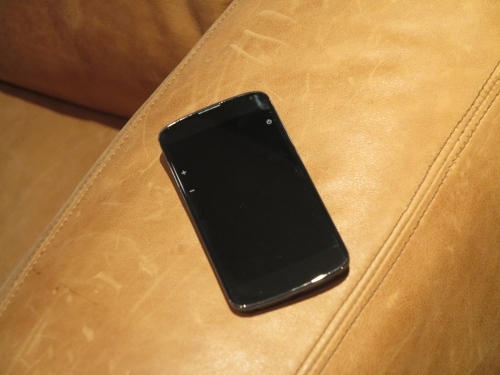 When I used the Nexus 4 it was fine but the speaker by the ear pieces sounded like a radio from the 1950s. I tried drying it with a kleenex and forcing it in but didn’t work, still sound crappy 15 mins later. 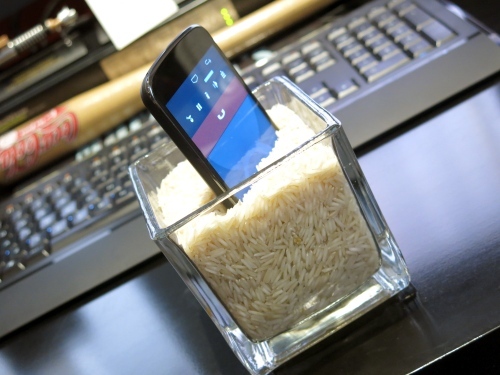 There was only one solution that I knew off, I got a small glass flower pout and filled it with rice and stuck the phone in it all night long. Next day I used the phone crossing my fingers, and it was perfectly fine, no issues. I don’t know why but I always remember that rice can soak up water and humidity from electronics, they tell you to take the battery out but in my case I left it in there and charge it over night too, worked perfect the next morning. Its been about a month since I got the Nexus 4 and I have put it through it’s paces, I took a week to put all my Apps on it and configure to the way I want. So I have been using it for about three weeks as my main phone and abusing it in every possible way. First off it is a much better phone then the Galaxy Nexus, I am honestly happy with this experiment that Google did with LG, if it was Motorolla I would have been really worried. 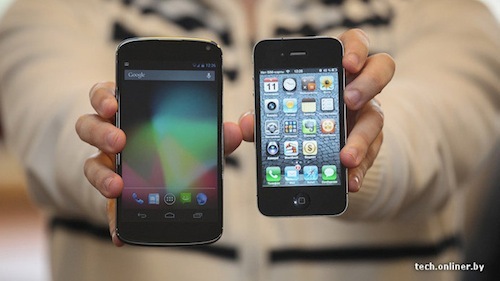 Google gives an opportunity to each manufacturer to show their coolest features and LG won them over this time, Samsung has been known for the SII & SII, as well as the large Note line, not for the Nexus line even though it was a solid phone. 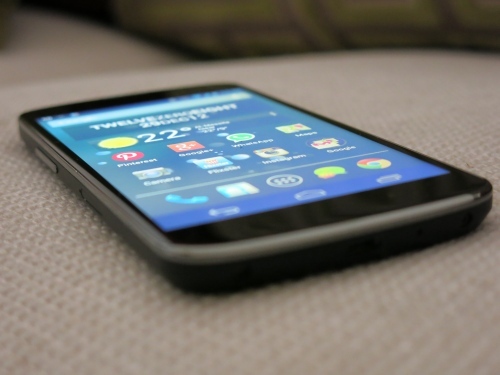 Samsung would always save the best for it’s S line like the SII & SIII, but I didn’t like layer they install over the basic or vanilla Android OS, so the Nexus line was always second class to the Samsung S line, the case was the same with the Nexus S & Galaxy Nexus. 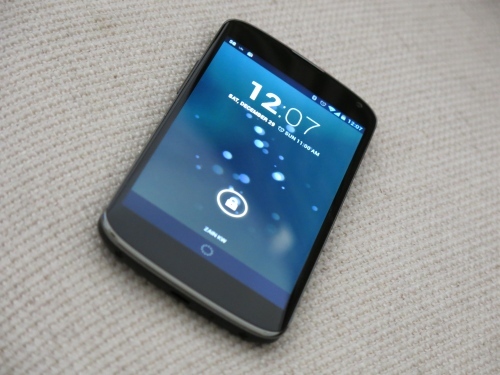 For the first time a Nexus phone feels like it is the best that Google has to offer on a hardware point of view, and their OS always feels clean and light. I honestly love this phone and that it has such a well done operating system, smooth and powerful, and has never hung on me. The screen is beautiful, love scrolling through Instagram on it, and reading my Google Reader feeds, very clear, and easy to look at. Google gambled with LG and it’s paying off, they built an amazing machine with this phone and I hope that they make an even better one. I honestly don’t think I want any other feature on the phone then what I already have, its really good, you always want better but this was really worth the wait. 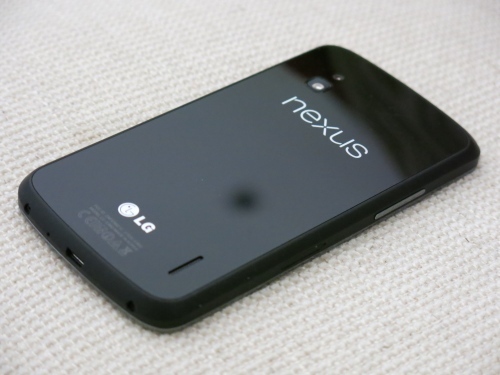 I have been using the Nexus 4 for about a week now and it hasn’t disappointed at all, its fast smooth, no glitches, they even had two updates since I had it and I didn’t even bother checking why. I have wanted to write a full in depth review about everything this phone can do and just whats different about it being from LG. I will get into that later since I do want to give it justice, just know that if you are getting it then you are going to be very happy. 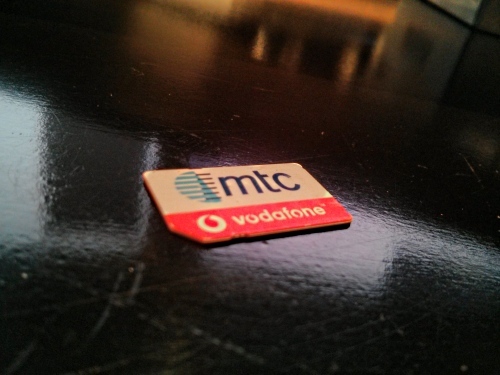 I’m going to make the switch from the Galaxy Nexus to the Nexus 4 by this coming Sunday but my only hang up is one thing, I don’t want to cut my chip or replace it, but it seems that I can’t really use it anymore, I want to keep the old school MTC Vodafone colors, my only two options is either to cut the chip or replace, in this case I think I may just replace it and keep the chip since its for sentimental reasons. The hardware on this phone is top notch and it works that way, I have abused it and the battery is impressive, the build quality is perfect, feels good in your hand. I will follow up with an indepth write up on the phone. Also I blame Apple for my predicament, why the hell do they keep having to change the damn SIM Cards, I don’t think anyone had a problem with that, I also think we can lose them more easily these days. 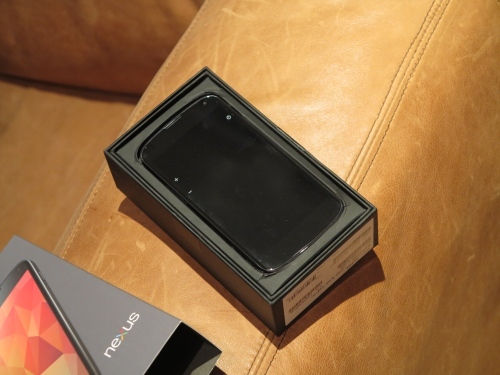 I couldn’t wait to get my hands on the Nexus 4, after scouring Ebay for days after selling out. Luckily one Ebayer got his hands on it and was selling it for $475 in North Carolina when everyone else was selling it for $600+ so I clicked the Buy It Now without a second thought. Firstly the box was very simple to open unlike the Nexus 7 situation, just a charger and wire inside with the phone nothing else. I was happy the phone was fully charged and once I signed in my GMail account it started automatically downloading most of my Apps. One thing that Android does that I like is that it also copies the wireless profiles from your previous Android devices so after the initial wireless connection it seamlessly connects to your wifi from previous saved profiles. Its gonna take me a day or two to fully configure all the Apps I have on it, I keep using one thing and jumping right into and forgetting to configure the others. Do I think Google made the right decision with LG, well time will tell but as off right now I’m loving the phone and if you are a fan of Android phones then you will love this. 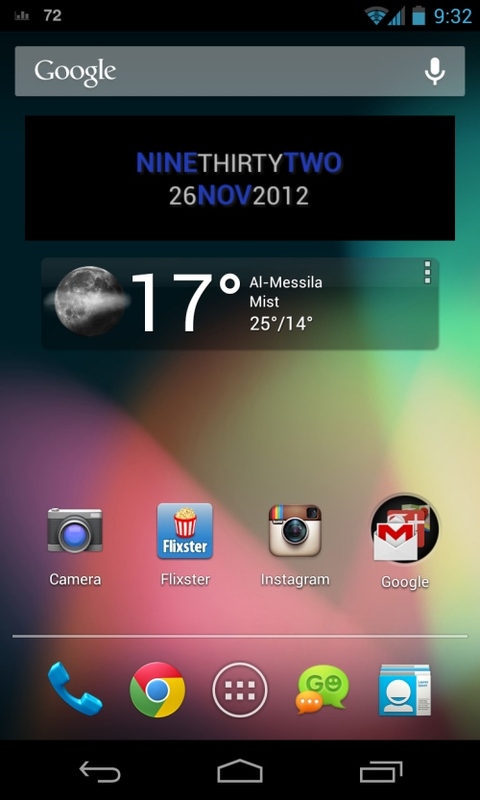 I like the Samsung S3 but I’m loving the Nexus 4, the operating system just feels so clean and it just wants to be used. I’m going to write a full review at a later stage but for now this is my first impressions after one night of using it. This month has turned into the month of Gadgets. I seriously think I overdosed on a lot of these things and I don’t think I will have enough time to totally play with them. Those are too many gadgets at one time, I feel like a gadget whore, and I wasn’t expecting all of them to come at the same time. This is going to be an overload of geekiness at this rate. My last iPod touch was from 2009 and I said I wouldn’t get one unless they made it with more space or overhauled it, well they overhauled it and I liked it, so I placed an order after Apple kept cancelling because of my account. The Amazon Kindle Fire HD I ordered a while back so I wasn’t expecting it to coincide with the Google products that were coming out, and now they are all out for delivery. Too many boxes to rip open! 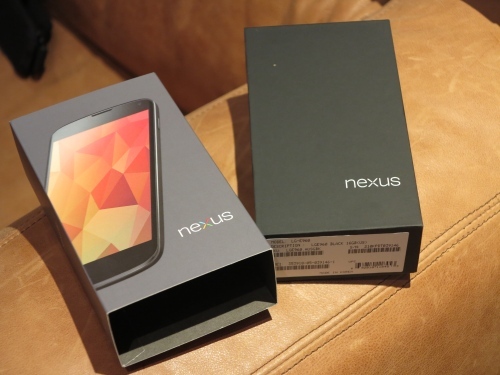 The only delay I’m facing is my Nexus 4, delayed three weeks, damn you Google! 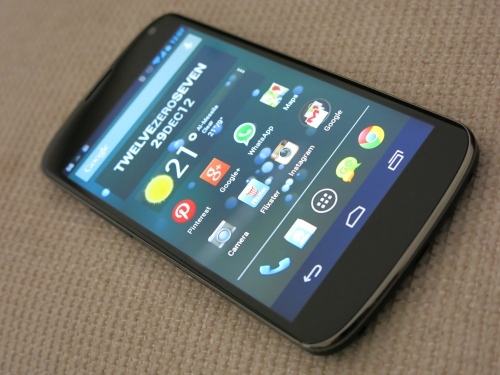 Now this is really cool, the new Nexus 4 turned out to be better then I expected and the release date is set for November 13th and I honestly can’t wait to get my hands on it. 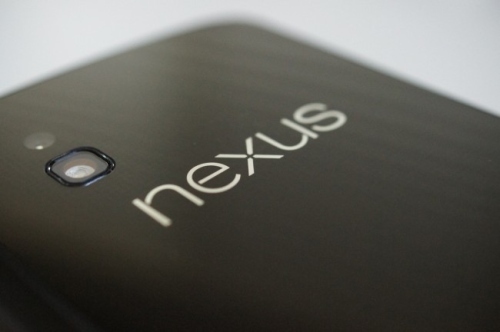 Even though my Galaxy Nexus is still running strong, I love the Nexus line from Google. 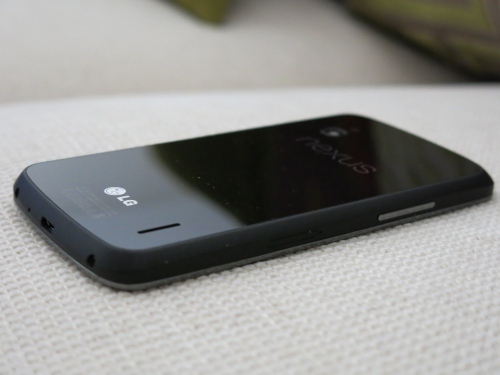 All my worries about it being from LG has been set aside by this interview by The Verge. 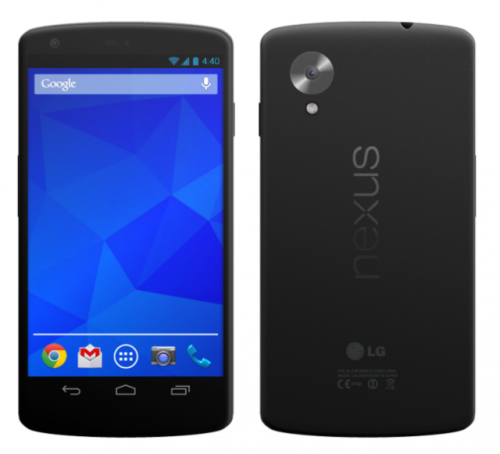 Nexus 4 specs include a 4.7-inch True HD IPS Plus display with 1,280 x 768-pixel resolution, an 8-megapixel camera, a Qualcomm Snapdragon S4 Pro processor, 8GB or 16GB of internal storage, 2GB of RAM and Android 4.2 Jelly Bean. 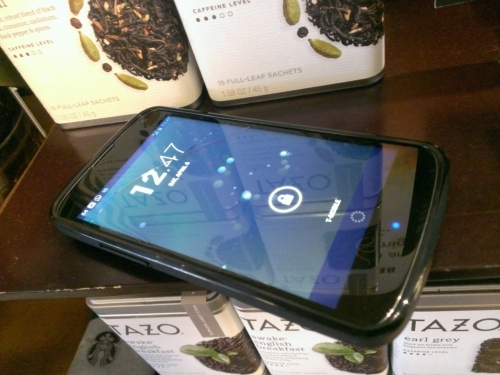 The phone starts at a affordable $299 unlocked and it will launch in the United States on November 13th. 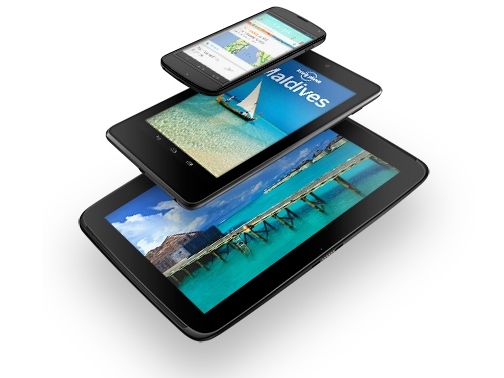 I know I will be getting my hands on both devices, I have wanted the updated Nexus phone for a while, but the Nexus 10 is a surprise. I love how Google changes manufacturers every once in a while depending on who has the best to offer. This is a prototype unit and usually the Google Nexus gets released around the end of the year so the specifications might change. 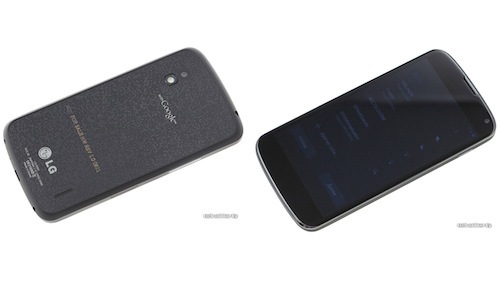 According to the site that got it’s hands on the prototype it’s rocking a 1.5GHz quad-core Qualcomm Snapdragon CPU, 1280 x 768 4.7-inch screen, 2GB of RAM, and just 8GB of storage, all of which matches earlier rumors. 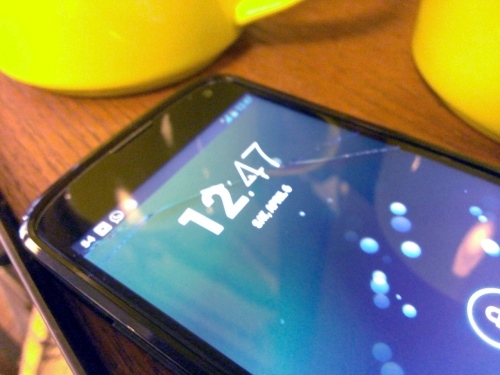 It’s also running Android 4.12, but there have been rumors flying around that it will be released with Android 4.2, but we would never really know. When it came to the choice of manufacturer I honestly I’m not too happy, I was hoping they would go back and try HTC since I love their designs or they could try the Motorolla Razr Android since they were very cool designs, Samsung was always a good choice, but LG? really? I think the back looks cool, it reminds me of the nexus wallpaper. And yes the screen looks crappy, but I they have the brightness turned completely down. I am very interested in seeing how this turns out. 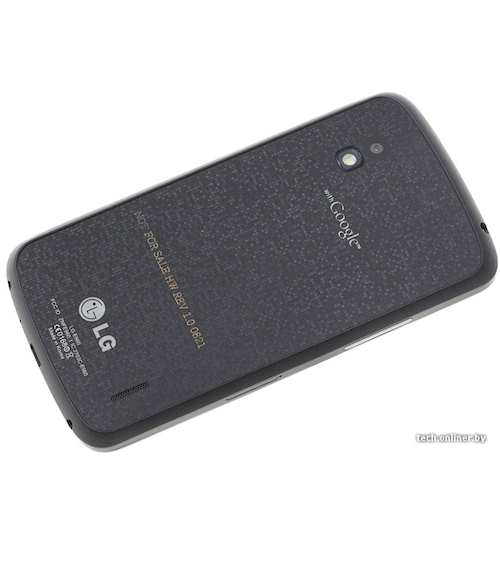 I’ve never had an LG phone but I keep hearing their phones have questionable quality. Im not sure exactly how they pick the manufacturer but I have heard that they put in a bid with a mock up design and it google picks the one they like. 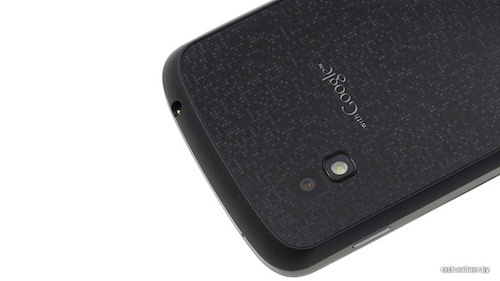 Well I just hope Google knows what they were doing, and I know I’m going to buy it because its the next Google phone. In Google We Trust. I have mentioned in my earlier Google Nexus 7 Review that I am having a small issue with my Nexus 7, the screen looks as if its foggy when I start it up it lasts for about 15 to 20 mins then the colors and screen contrast comes back to normal, I thought it was a software glitch and I tried to fix it through a few steps but it didn’t help. So I called Google Support, they answered the phone very quickly, I told him what was wrong and looked like there was a bit of a screen memory ghost during those first 15 mins of the issue. The support on the phone asked me to switch off Auto-Brightness but that didn’t work and he ask me to do a factory reset which I did but that didn’t help the issue. Then he said he has been authorized to make this device as DOA (Dead On Arrival) and send me new one right away. That took a total of 10 mins without any fuss or complaining from my side which I think is fantastic, Google is out to make a point with the Nexus 7 and it seems they want everyone to be satisfied with it, so the support is just that good. 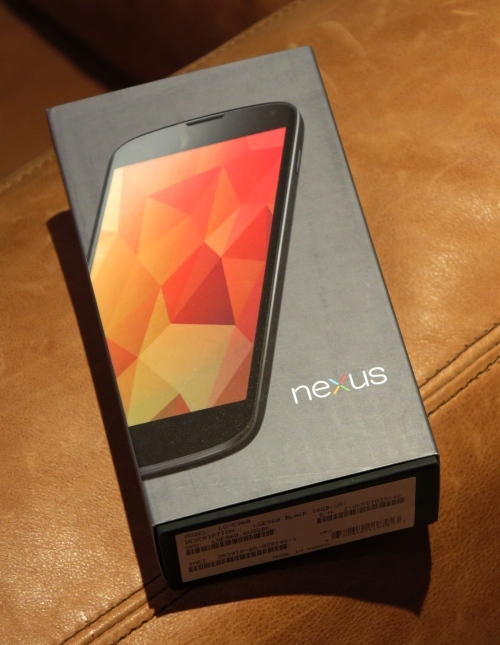 The guy even apologized the delay of send out the new device because they are currently on back order and I’m honestly satisfied I get to keep it another 10 days before sending it out, they have to get it 30 days after sending out the email so I really am without the Nexus 7 for about 2 weeks really which isn’t too bad. 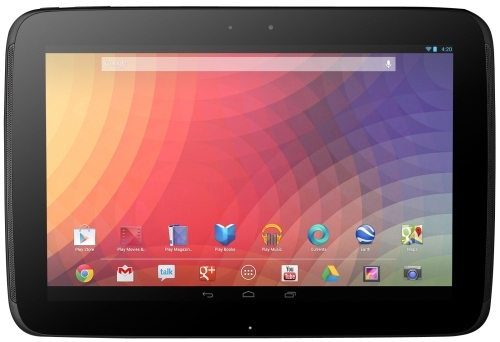 The best part about the tablet is the Vanilla software meaning its pure Android and with that you get the latest updates from Google Right away.